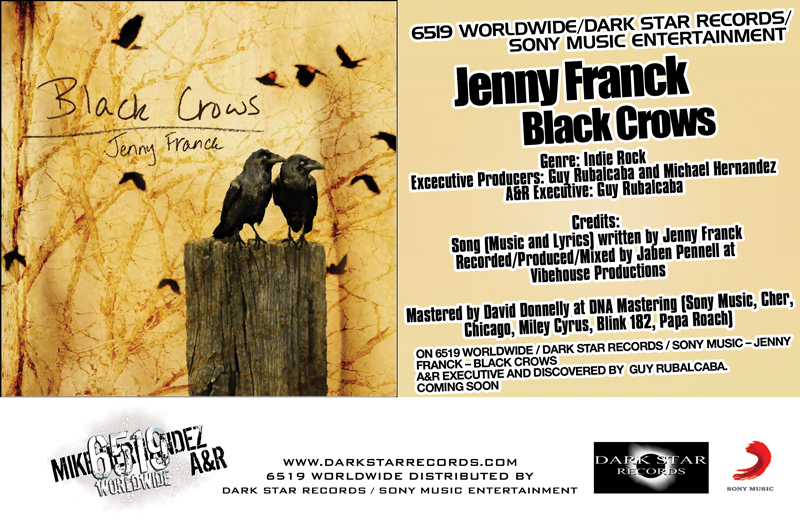 We are pleased to Announce that 6519 Worldwide, Dark Star Records and Sony Music Entertainment will be releasing the epic single “Black Crows” from singer songwriter Jenny Franck. The Single along with the music video will be released on Christmas Eve Day 2013. The song “Black Crows” features Michael James (founder of IndieProMix) on lead guitar. This is one of her songs that tap into a serious, dark place. As the title indicates, it is a symbolic marker to what is holding her down. The fusion of acoustics, electronics and its dark undertone is one of many powerful moments of this song. The chorus becomes a crescendo, taking you into the darkest point of the song. It’s comparable to the energy of the ocean’s waves. Majestic to witness yet contain such raw power. Jenny’s song grabs you the same way. 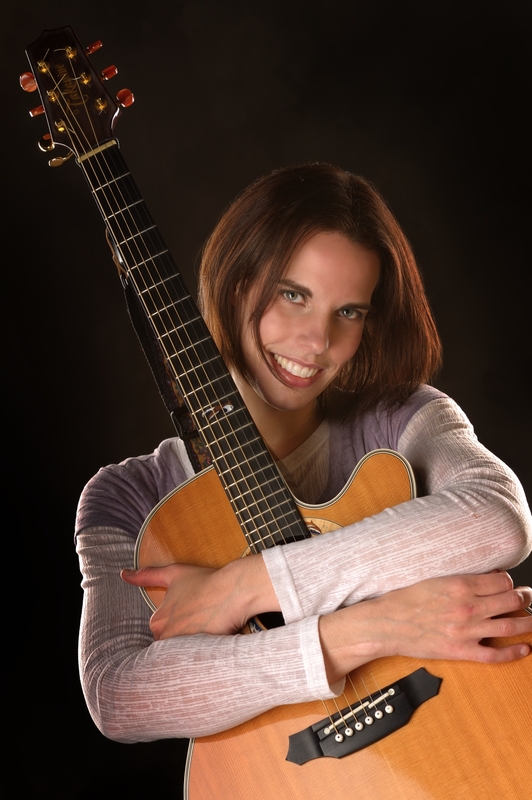 Jenny Franck is a rising star from the Chicagoland area, with an ever growing passion for music. Her love first started with the piano, evolving to guitar. Her signature sound is heavy, with a twist of grunge and a voice that captures the soul. Her inspirations have influenced her direction. They are rooted from artists like Nirvana, Stone Temple Pilots, Silverchair, Elliot Smith, and Alice in Chains. Her evolution has been personal, musical, and spiritual, in developing her writing along with her collaborative efforts. The passion you hear through her music is done like no other, delivering her life’s events and emotions with such intelligence and grace. She says it in style each and every time through some of the best grunge/punk/rock music on the planet.